Review Resorts celebrates travel and resorts around the world! 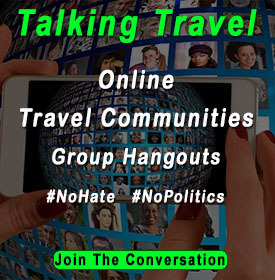 We provide a platform for Travel Agents, Foodies and Bloggers to post about Travel Experiences. We also provide the opportunity for travelers to post resort reviews who certify they indeed stayed at the resorts. If you are looking for a peaceful, calm and relaxing Clothing Optional Bed and Breakfast in the Phoenix area, Casa Cahava B & B may just be perfect for you! Casa Cahava is located 45 minutes from the Phoenix Sky Harbor Airport and situated on 2-1/2 acres in the Sonoran Desert on the outskirts of Cave Creek. Once you arrive at the home, you can be clothes free for your entire stay! The hosts live in the main house and are available for you, but you’ll likely just enjoy your privacy in the serenity of your private Casita by the pool! Casa Cahava Clothing Optional Bed and Breakfast offers a private guest house Casita with all you need for short (2-night minimum) or long term stays! 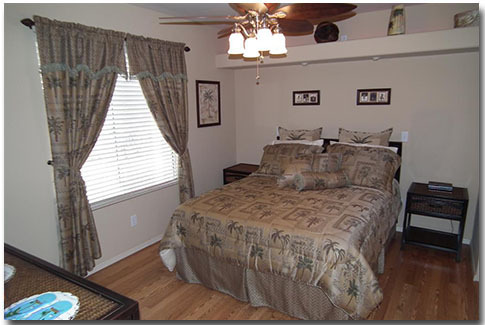 The guest house is light and airy, furnished with distinct Southwestern flair! There is a separate living area with cable TV and plenty of sofa space. 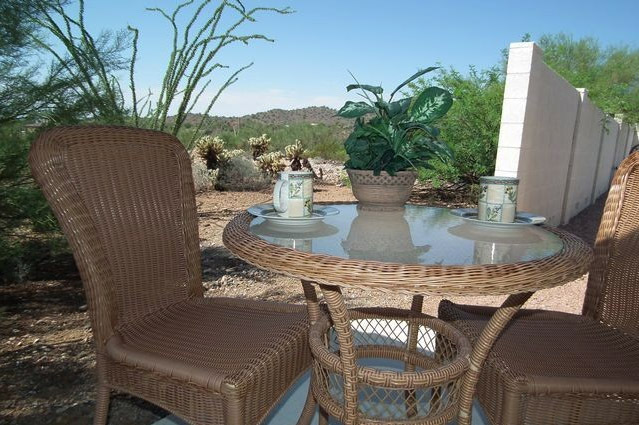 Just off the living area is a patio that is perfect for a morning cup of coffee while watching the desert awake. Full kitchen, living area, bedroom with Queen-size bed and a private bath are located behind the main house and adjacent to the solar heated pool and separate spa! Your private patio looks out over the desert with saguaro cactus, desert scenery and wildlife that is all native to the desert. Life in the desert is a slower pace and the day starts a little later. Brunch is included at Casa Cahava B&B the first week, and is served after 10AM. After your first week stay, breakfast is not included in the discounted rates. Guests are free to prepare breakfast in the mornings on their schedule since the guest house full kitchen is available for your use. The Home Features: Private pool with a pool deck, Jacuzzi, hot tub, chaise lounge chairs, Outdoor patio area to enjoy the warm evening dining and desert scenery. 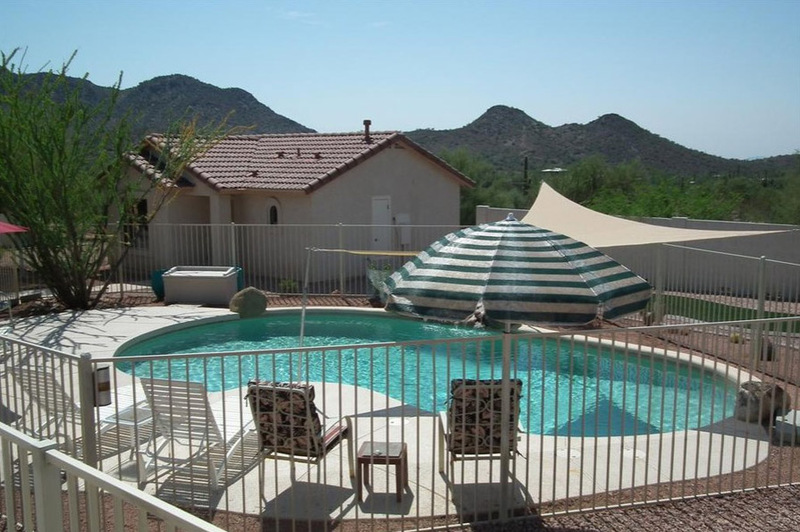 Sail shade keeps the pool comfortable in the summer heat, Shaded patio with awning, Outdoor BBQ grill and bar area. High speed internet throughout the property, refrigerator, microwave, coffee maker, blender and pool safe plates, cups and utensils are available for your use. Spices and cooking utensils are stocked in the guest house kitchen. Casa Cahava realizes that our guests want choices and that is why we are clothing optional. Our philosophy is based on common sense. If this is your first time at a clothing optional resort, you may wear something until you are more comfortable. If it is cool in the evening, you are welcome to wear clothes. You have the freedom to wear a shirt, cover-up or bathrobe at any time. It’s common to be a little nervous at first but that usually only lasts for about the first half hour or so. You will find our guests are the nicest couples you will ever meet. You can sunbathe “au naturel” in a very safe, secure, environment. Our first, last and only concern is the comfort of our guests. We want you to feel completely at home and make your stay here a relaxing, luxurious and affordable vacation. Stayed at Casa Cahava Clothing Optional Bed and Breakfast?